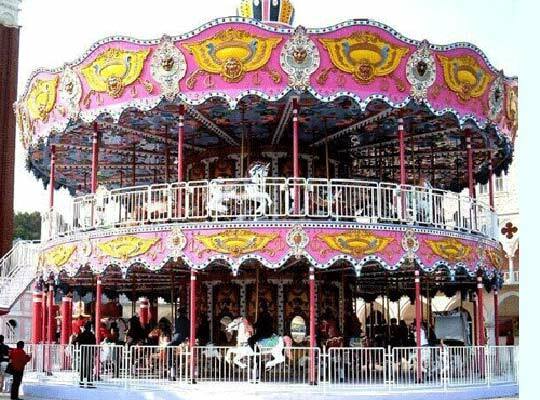 Carousel (from French carrousel, from Italian carosello), galloper, merry go round is one of the most popular park rides in Pakistan. 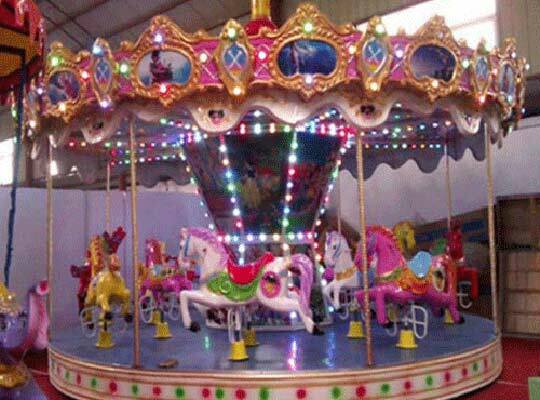 There are various carousel rides available for kids and adults in Pakistan. It is commonly seen in the amusement parks, theme parks, fairground, funfair, outdoor and indoor playground, square, parks, kindergarten, building area etc. Passengers on carousels can go up and down with the horses when the carousel rides are rotating. At the same time, the lights are flashing and the familiar music is playing. Riding on carousels will be one of the unforgettable happy memories for many children and young people. 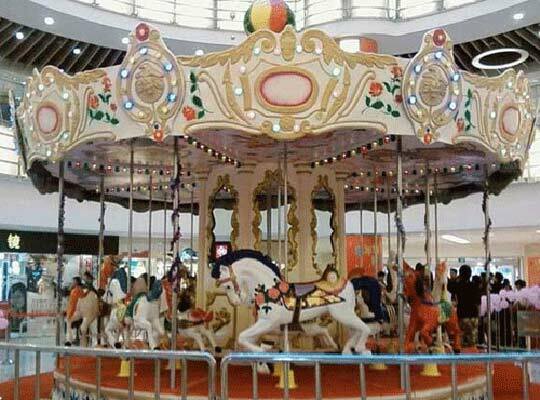 And there are various merry go round carousel rides for sale in Beston for investors from Pakistan to choose from. 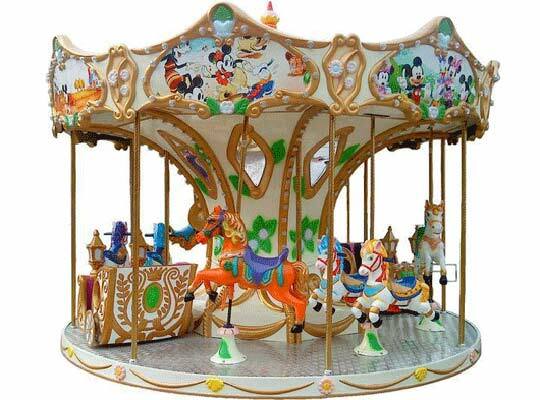 You can choose the best carousel rides for your park when you know more information about this rides . 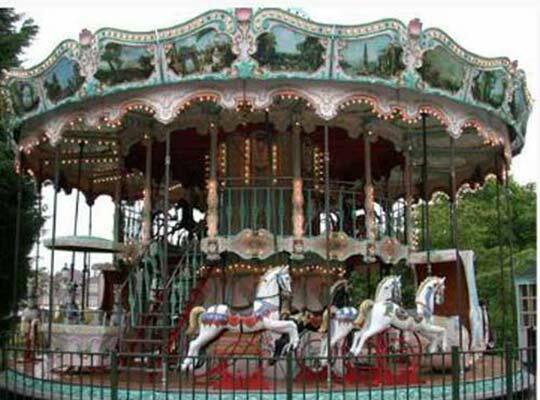 The followings are some details about Beston carousel rides and want to know more? Please contact us! What do you know about the merry go round carousel rides? The structures. The carousel rides are the most popular amusement rides which is composed of a rotating circular platform with seats for riders to ride on. 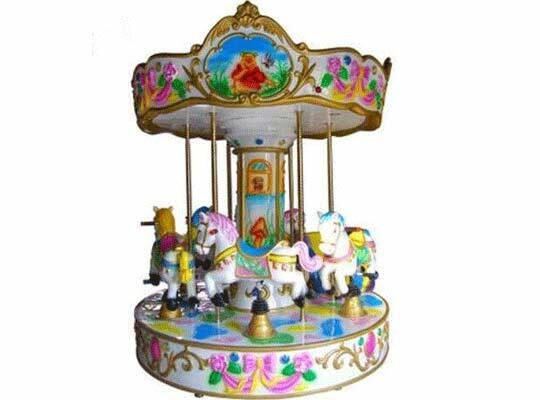 Traditionally, the fiberglass carousels are decorated with vivid and colorful unrestrained-shaped wooden horse or other animals mounted on the platform, which can go up and down along with the turntable. 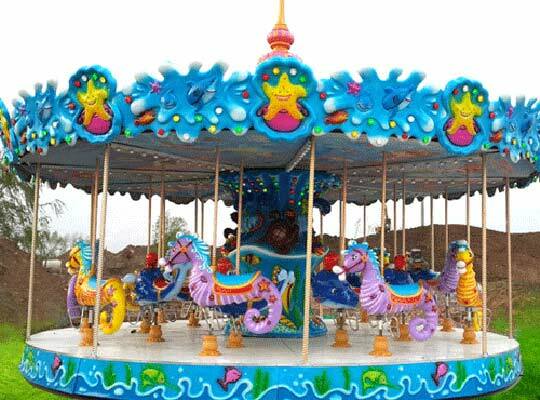 Some other carousel themes are also very popular, such as the ocean themed, Christmas themed, sea horses, snow white themed, little bees and other animals, which is more attractive and interesting in Pakistan. 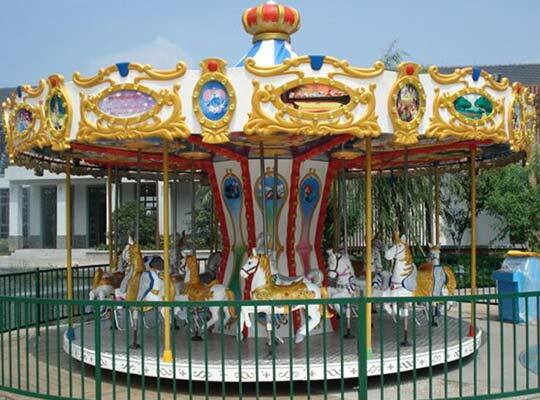 The main parts of Pakistan carousels are always manufactured with excellent quality fiberglass reinforced plastic (also known as FRP) and stainless steel, which guarantee the long service life and environmental protection. Besides, the gorgeous LED lights and beautiful music player are always the common decorations to make it much more attractive. The categories. 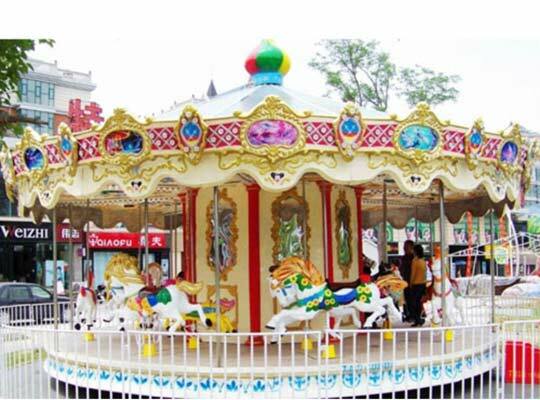 In generally, the carousel can be divided into simple merry go round carousels, semi-grand carousels and luxury/grand carousel rides according to the level of decoration (the main difference is whether it has the beautiful fiberglass appearance shape and various colorful lights: the LED Mushroom Lamps). There are 3 seaters, 6 seaters, 12 seaters, 16 seaters, 22 seaters, 24 seaters, 36 seaters, 48 seats and 58 seats carousels for kids and young people. According to the transmission mode, the carousel can be divided into the top-drive carousels, imitation top-drive carousels (which is more complex and expensive) and the bottom-drive or under-drive carousels. 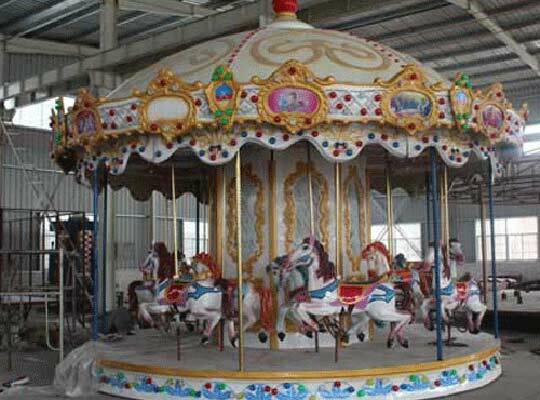 And in Pakistan, various carousels can be seen commonly: small/mini carousel, vintages/antique carousel, grand carousel, kiddie merry go round carousel, double decker carousel, Fiberglass Carousel rides, ocean/seahorse carousels, top-drive and under-drive carousels, Christmas carousels, coin operated kiddie carousel, pony carousels, fairground carousel, etc..
Why so many customers in Pakistan would like to choose carousels from Beston group? Beston has the manufacturing factory and can produces almost all carousels for customers and also customers can customize their own unique carousels in factory. Fadeless. Carousels in Beston are painted with non-fading and durable painting. Our staff guarantee five layer painting for very horses and the decoration parts. 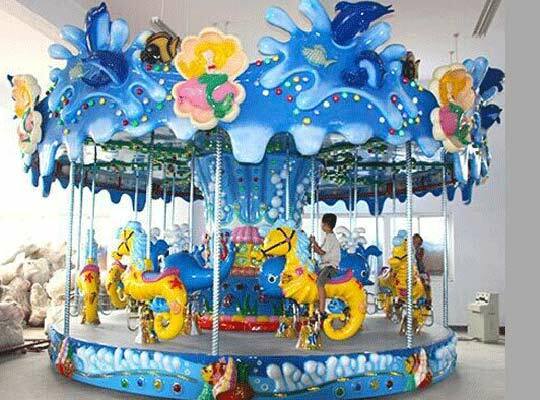 Manufactured with FRP materials (the thickness of our fiberglass reinforced plastic is 5mm-8mm), Beston carousel rides has features with high quality, environmental friendly, corrosion resistance, high stability and attractive appearance. 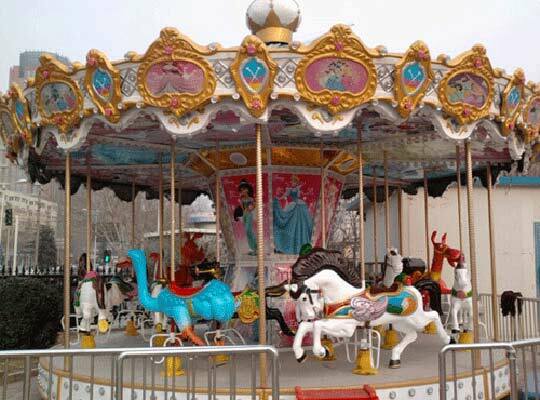 Hot sale luxury carousels in Beston use the technology of upper transmission or top-driven, which produces little noise when it is running and is easy to maintain. Strict quality control system. Beston is fairly strict in the selection of original material, the manufacturing process of products, and the last product before leaving our factory. 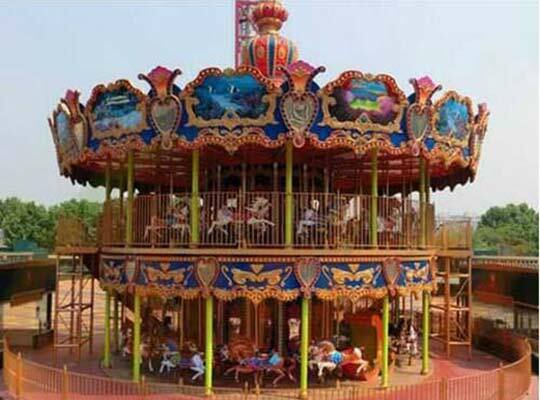 Adopted with the automatic frequency control to start and stop the carousel rides, Beston merry go round rides is smooth and reliable in operation. Exquisite workmanship, smooth surface, gorgeous color, pleasant music, unique appearance, high quality and lower prices. Application: playgrounds, squares, parks, kindergartens, shopping malls, restaurants, communities, residential quarters and other types indoor and outdoor venues. High quality pre-sales services and after-sales services. 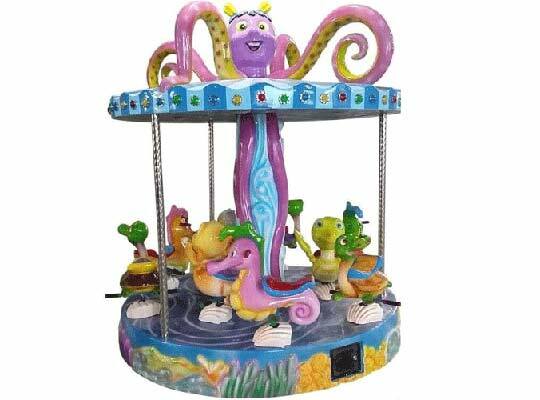 Beston group, the reliable manufacturer and supplier of various rides in China, offers top quality kiddie carousels in Pakistan. What’s more, Beston provides you the excellent pre-sales and after-sales services and satisfies all your requirements. If you want to build a theme parks in Pakistan or have some demands of some fairground carousels or other rides, please feel free to contact us. We will give you the best prices.